What got you interested in Skateboarding? Tony Hawks pro skater video games for PlayStation 1 originally but I didn’t start skating until I finished 1st year in secondary school. What is your view on the Irish Skate Scene? Skateboarding in Ireland is Sick…The lads out skating every day, are killing it and are growing better each and every day. Progression is rad to see especially in the younger generations. I personally love the Irish skate scene because of the people who skate actual care about skateboarding as a lifestyle rather then a fashion statement as there is only few of us who go and film and try boost the skate scene. I believe that there is a very positive future for it as there is young kids trying to help promote the growth of the sport we all love. 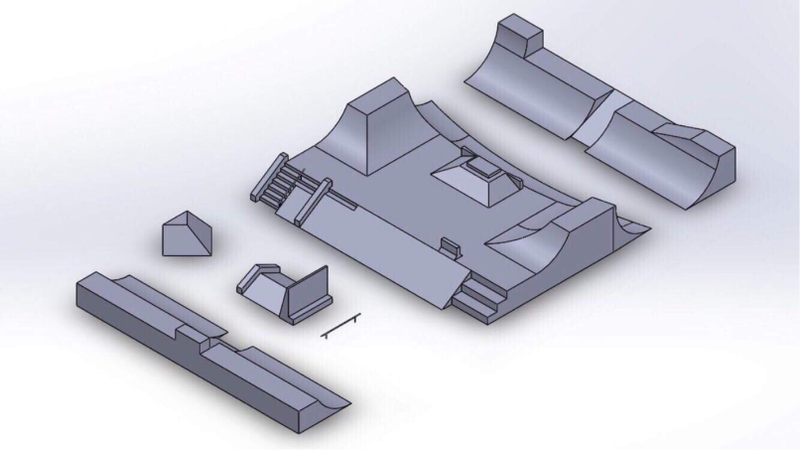 I think there should be more coverage here as there is not a lot being done to promote the skate scene other than shops, so that’s what we aim to do with our Skatepark. 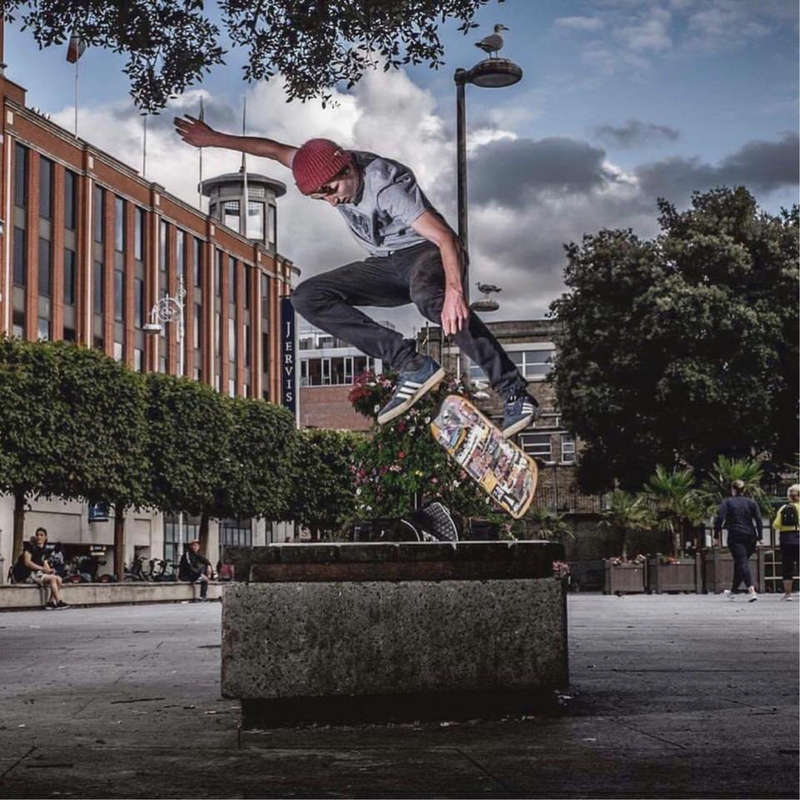 Can you notice a difference in the skate scene over the last few years, with the change in the Dublin night life and culture? Yeah definitely. The skateboarding fashion industry has taken control of the Irish nightlife scene with brands like ( Thrasher , Polar , HUF, Palace and Supreme ) being very popular. The past while there has been a lot of trendy kids tryna fit in and be hip by spending €€€€€ on an average hoodie to show off to their friends. Where as I think they could just get a skateboard and start enjoying the little things. There has also been a turn for the worse with people now carrying penny boards through the streets. Them things are death traps just get a real BOARD !!! What is your plans for the future? To open up an Indoor Skatepark in Dublin City Centre and start teaching younger kids who have only started skating or are willing to start skateboarding how to do it safely and enjoyably. Also to get a positive growth as there is no indoor skateparks available in Dublin. We hope to stop people from having to skate car parks all winter too. What gave you the idea to start up your own Business/Skatepark? I was literally just pissed off that I couldn’t skate when it rains in Dublin. I got fed up waiting for it to happen for three years after the sadly missed parks like SofD and GTF closed, so I decided to open up a go fund me account and start fundraising towards opening up a space for people to come and skate. What do you wish to do with Shred Shed (Dublin City Skatepark)? My plans for this skatepark is to have it a place where people can come and learn skateboarding. I used to work in SofD in the summer when I was younger, I helped the owner Mike with a skateboard class. The young 12 and 13 year olds who were too young to go skating by themselves would come to the skatepark from 10 - 4, Monday to Friday. They would have a safe environment to skate, and good leaders to encourage them to try tricks and push them to get back up and try again when they fell. I loved doing this because you get them into skateboarding young and now am still friends with some of them which is great... I can see them improving every time I skate with them. The main reason we need this skatepark is for community, we all skate together and get hyped off each other so if there’s a place in the winter where we can all get together and skate it be GREAT. If you ever skated SofD & GTF in the winters you would understand, because now we have no Close Indoors and this winter was horrible weather so we could only skate with good weather or in carparks. So my plan is to have the park ready by Winter 2018. Donate to Minty's gofundme for Dublin City Skatepark here.